Merry Christmas! I am a bit late to post my annual "holiday single." This year, I decided to record all parts simultaneously, in one take. I am playing the Ebow guitar and A Little Thunder bass parts at the same time, and my lead vocal has a harmony vocal because I used a harmonizer pedal. This is actually the ninth and final take of the recording session. 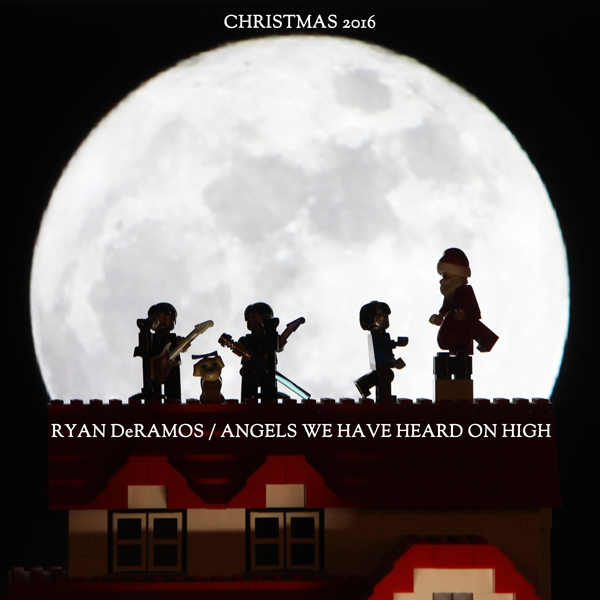 You can download "Angels We Have Heard On High" (in stereo) HERE. You can download the LibriVox version (in mono) with other fine holiday performances HERE. The mono version of "O Christmas Tree" was released into the public domain through LibriVox as part of its Christmas Carol Collection 2010. 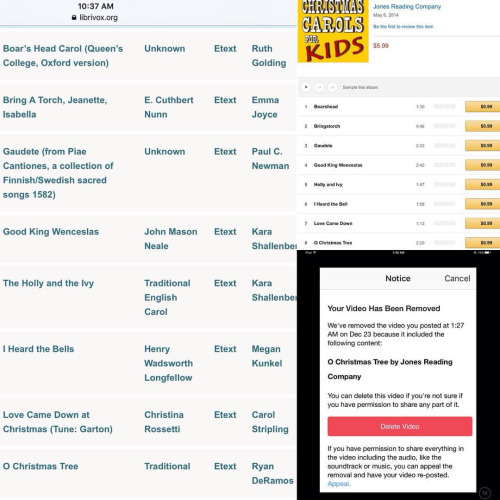 In 2014, someone called "Jones Reading Company" uploaded the compilation to various music services so they could make some money from public domain gifts to the world. I can almost guess that the standard copyright-sniffing bot gathers its data from commercial websites, not from public domain/Creative Commons websites. I never released the stereo version of "O Christmas Tree" to the public domain. That is the version I enjoy more, and for all intents and purposes, it belongs to me. While the copyright of the stereo version belongs to me, I make it available to download for free. When I uploaded my video, Instagram almost-instantly took down my video of my music that I performed every note on. Angered and confused, I instantly appealed this "copyright notice." This is my music. The stereo version is mine. The mono version belongs to everyone. No one can claim copyright over what belongs to the public domain. Thankfully, Instagram restored my video. When I uploaded two additional parts of the song, I didn't have any trouble. I am more than happy to escalate any issues that involve copyright trolls and invalid copyright claims. You gotta fight for your right ... to party, of course!